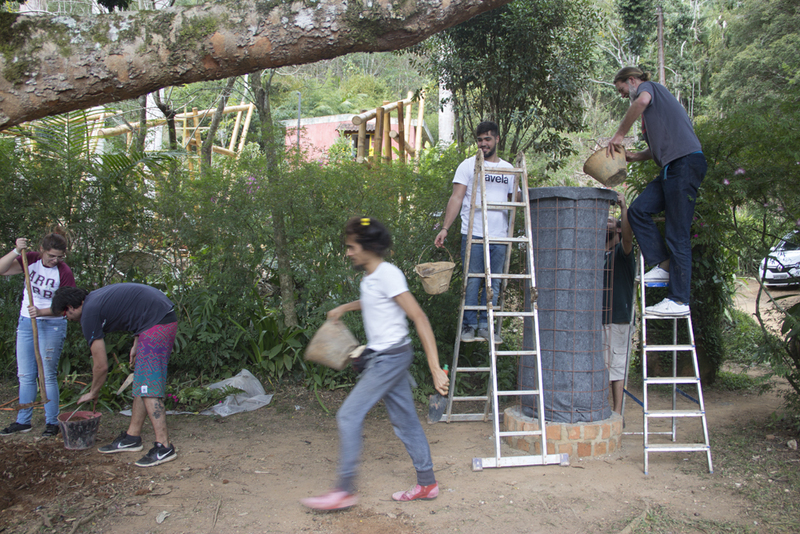 During the course of two days, students will have the unique opportunity to learn the application of vegetable surfaces in architectural spaces, such as vertical gardens and green roofs. There are multiple methods and executive details to be considered in the work, so that no problems occur in the installation of these elements. Green roofs are increasingly used in the world of architecture of low environmental impact, thanks to the reductive effect on urban heat, mitigation of internal temperature and drainage of rainwater among many other advantages. 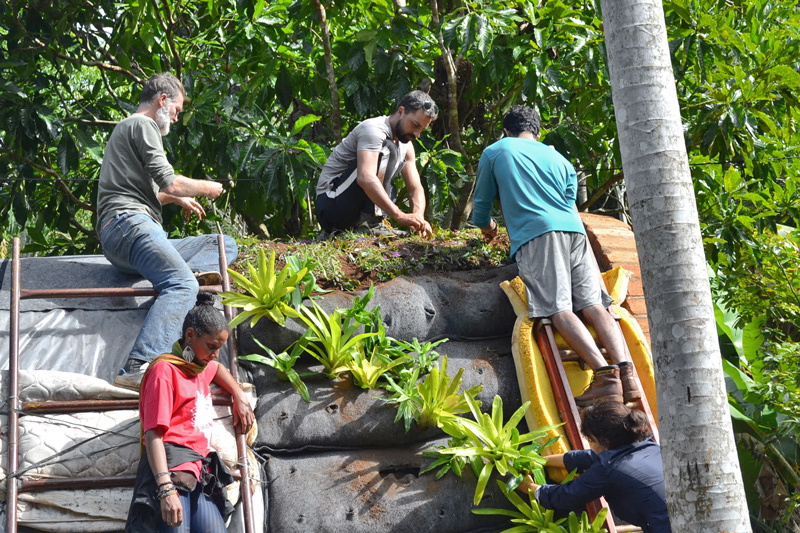 With several works built that involved vertical gardening and green roofs and a deep belief on importance of landscaping in architecture, Marc holds theoretical and practical knowledge enabling to teach the subject and respond to individual questions and doubts of the participants. The four-day course costs R$ 56o.00 per person. It can be paid with R$ 140,00 to reserve your place and three pre-dated checks of R $ 140,00 divided through 30, 60, and 90 days. Limited places. For students and young people up to 26 years of age, there is a discount of 10%. In the price included are accommodation in a shared room, full alimentation (egg-milk-vegetarian and PANCs) and working materials. Send the proof of the deposit or the information contained therein including your full name for the email: contato@tibario.com. Without the the proof of the deposit your vacancy will not be confirmed. Participants should arrive at TIBÁ in the afternoon, the day before the beginning of the course. Please advise if you are arriving after 20:00. The course starts at 7:00 a.m. Accommodations are in shared rooms (4 rooms for 3 people, 2 rooms for 4 people, 1 room for 6 people and 1 room for 2 people). The food is egg-lacto-vegetarian (three meals per day). Bathrooms are of collective use. We recommend to bring repellent, lantern, raincoat, slipper, towel, personal hygiene items (preferably biodegradable), bathing suit, comfortable working shoes, and didactic material (notebook, pencil, pens).